Admiral Yacht Insurance provides marine insurance cover for a wide range of motor yachts and launches, for use in the Mediterranean or closer to the UK. Our insurance package can also be tailored to your needs to cover waterskiing, dry berthing, and trailer sailing. So if you are looking to insure your boat, whether it’s a flybridge motor yacht or a gentleman’s day launch, please complete our on-line quote request and we will be happy to respond to your enquiry. Please click here for more for details of our RIB Insurance cover. Good value, quality Boat Insurance Cover that can be tailored to your needs. In-house Boat Insurance Claims service with a global network of surveyors and repair specialists. Good customer service from your dedicated account manager at Admiral Yacht Insurance. 94% of our Yacht Insurance Clients renew with us every year – that’s how much they trust us! More than one Boat to Insure? Why not save time and money with your own individually tailored Fleet Insurance Policy? Give us a call on +44 (0)1722 416106 to arrange or Request A Call Back from our team. Can’t find what you are looking for on the Admiral Yacht Insurance website? 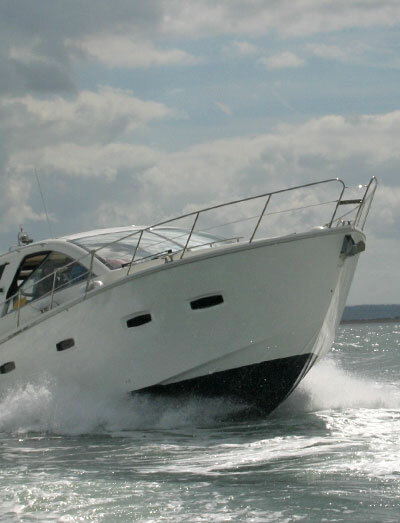 Request a Boat Insurance Quote using our online quotation form. Request a Call Back from our in-house team of yacht insurance experts. Make a Boat Insurance Claim by completing our online claim form. Renew your Admiral Boat Insurance policy quickly and easily. Full details of our comprehensive Yacht Insurance Policy. Review our exclusive ARC Rally Insurance and World ARC Rally Insurance policies. Read and share our latest Yacht Insurance News. Find out why 94% of the Admiral Yacht Insurance Customers renew every year. Download all the Yacht Insurance Forms you need from our Downloads page. Contact Admiral Yacht Insurance by either email or telephone if you need any help. Have a question for Admiral Yacht Insurance? If you have any queries whatsoever about your Yacht Insurance Policy, please read our Boat Insurance FAQs or please Contact Admiral Yacht Insurance either by email or telephone if you have any further questions. Admiral Marine Ltd is part of the Hayes Parsons group of companies and is authorised and regulated by the Financial Conduct Authority, FRN 306002. Registered in England No. 02666794 at Colston Tower, Colston Street, Bristol BS1 4XE. If you wish to register a complaint please contact Nigel Rawlings, Compliance & Training Manager at Hayes Parsons Limited. If you are unsatisfied with how your complaint has been dealt with, you may be able to refer your complaint to the Financial Ombudsman Service (FOS). The FOS website is www.financial-ombudsman.org.uk.